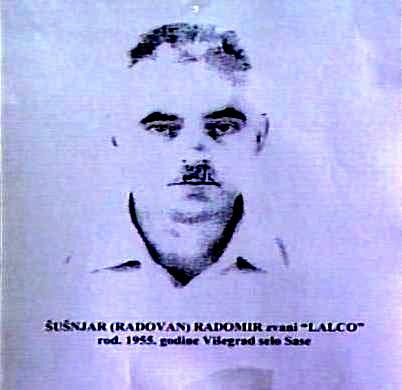 RADOMIR ŠUŠNJAR AKA LALCO SUSPECTED OF WAR CRIMES IN VISEGRAD ARRESTED IN FRANCE. After months of operative activities the Prosecutor and Investigators of the Prosecutor’s Office of BiH, located the suspect in France. The French authorities were requested to arrest and extradite him to Bosnia and Herzegovina. Following months of verifications and investigative activities the Prosecutor of the Special Department for War Crimes of the Prosecutor’s Office of BiH has, together with Investigators of the Prosecutor’s Office of BiH, located the suspect Radomir Šušnjar in the territory of the French Republic. After he was located, the French judicial and police authorities were requested to arrest him immediately and to extradite him to the Judiciary of Bosnia and Herzegovina. Significant cooperation was achieved with the Office of the ICTY Prosecutor in The Hague during the course of these activities. Radomir Šušnjar is suspected of being personally and directly involved in committing a horrible crime, publicly known as the “living bonfire” at a house located in Pionirska Street in Višegrad, together with Milan Lukic, who is on trial at The Hague Tribunal, and some other persons. In July 1992 more than 60 Bosniak civilians, including women and children, from the area of Višegrad were captured in that house and then set on fire, while at the same time automatic weapons were used to fire inside the house. On that occasion 59 people were killed and only seven of the victims managed to escape and survive. 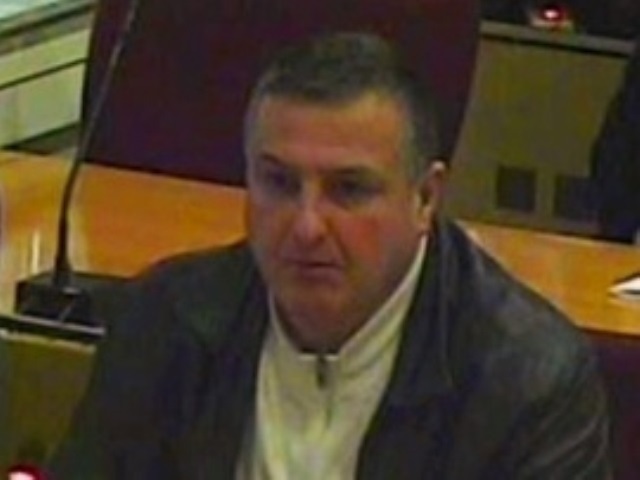 The suspect Radomir Šušnjar is under investigation by the Prosecutor’s Office of BiH and is suspected of having personally participated in the incarceration of the victims in a house in the Pionirska Street and its subsequent setting on fire. The Prosecutor’s Office of BiH would like to thank the Embassy of France in BiH, the BiH Embassy in Paris, the Judiciary and the Police of the French Republic, the Interpol office in Bosnia and Herzegovina and the Central Office of Interpol in Lyon, the Court of BiH, the Office of the Prosecutor at the ICTY and all other institutions that have helped in tracing, locating and the arrest of this suspect. The Prosecutor’s Office of BiH expects that he will soon be extradited to BiH Judiciary hence the activities in the aim of indicting continue. The aforementioned event is a clear message to all war crimes suspects that the Prosecutor’s Office of BiH and law enforcement agencies will locate and prosecute the suspects no matter where they are hiding, all n the interest of the rule of law, peace and reconciliation in Bosnia and Herzegovina.